Great Aspen Highlands Condo. 3 bedrooms, sleeps 8, $380 per night based on 7 night stays Discounts for longer stays. 2 assigned parking spots. Summer Weeks all available at this point. Monthly rentals encouraged $6500 per summer month. 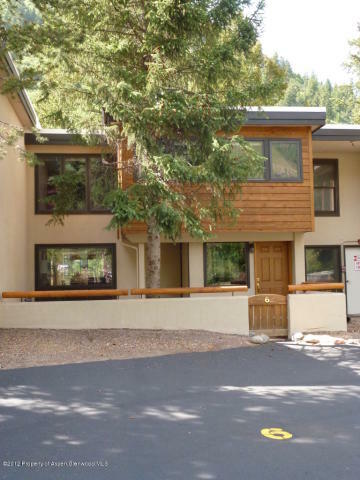 Great 3 bedroom condo steps from Aspen Highlands. Beautiful views from every window. 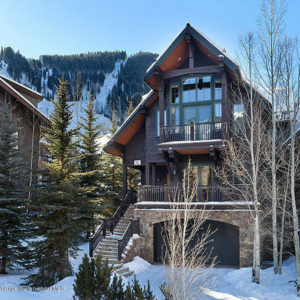 Enjoy the spacious deck perched above Maroon Creek, or walk across the street to the best skier’s mountain in Aspen. Newly remodeled, with a fully stocked kitchen, memory foam mattresses, flat screen TVs and egyptian cotton linens, this two story three bedroom, two bath condo comfortably sleeps 8. 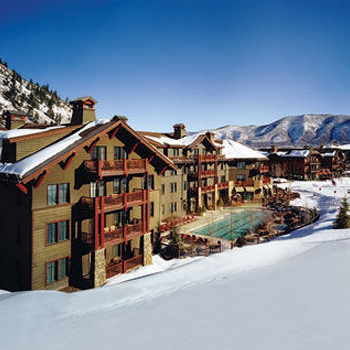 Two dedicated parking spaces provided or take the free shuttle bus that runs day and night from aspen highlands. 5 minutes drive to downtown Aspen, 12 minutes to Snowmass and 10 minutes to the Maroon Bells. Or walk 5 minutes to the Aspen Recreation Center. Newly remodeled kitchen and baths with Granite counter tops; fully stocked with kitchenware, crockery and flatware. queen pull out in guest 2. 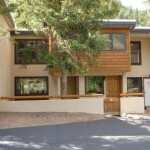 Very close (5 minutes walk) to the Aspen Recreation Center, 2 minute walk to Highlands ski area. 3 local free buses every hour to the Downtown Core. 2 dedicated parking spots in front of the condo.